When it comes to children playing, playground border edging is serious business. From schools to parks to playgrounds, and daycare facilities, keeping children safe at play is always a priority. That's why you need to partner with a company that specializes in the highest quality, heavy duty commercial plastic playground border timber edging in the industry, and that's Playground Borders Direct. 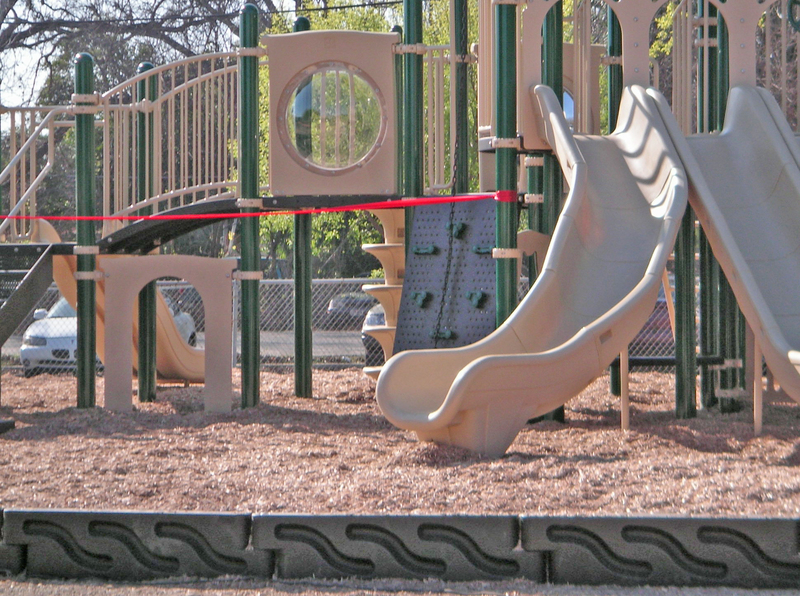 Playground edging around your playground will contain your safety surfacing wood fiber mulch chips quickly and easily, and with their rounded edges, our playground plastic timbers are always a safe and attractive alternative to wood borders. Our playground border comes with high quality galvanized spikes for easy installation. ADA Ramps easily attach to our interlocking border system. If you're looking for quality at a price you can afford, you'll find it here. 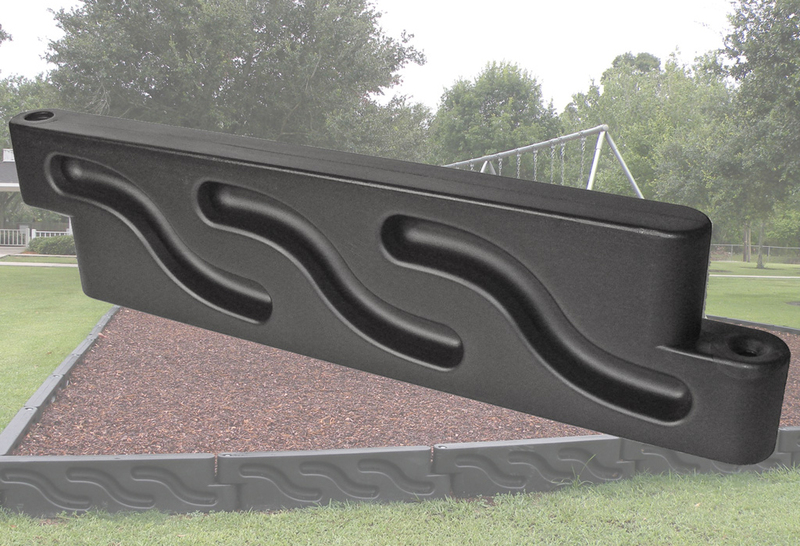 Our playground borders are durable and virtually maintenance-free, and come with a ten year manufacturer's warranty and all at discounted prices, and, we offer quick shipping. Here at Playground Borders Direct, playgrounds are our passion. Our staff started as playground design specialists, so we know how to make your playground the fun and safe space you have been dreaming of. In addition to playgrounds, our borders can be used for landscape edging around garden boxes, or anywhere that you need a border to hold in wood chips or other fillings. Our borders are manufactured in America’s Heartland, making shipping fast and affordable, so don't wait. Call us today to learn more. Total Shipping Weight 12 lbs. With over 20 years of experience and a 30,000 square foot facility, our manufacturer has been turning out precision quality plastics products that continually exceed customers’ expectations. If you find a lower total price on the exact product, we will beat the price! Thanks Playground Borders Direct…you’re the best !" Michael, Parks & Recreation Dept. Hello…. Received borders this morning. Wish all companies were as efficient as you have been with us. Thanks again. You Rock Playgrounds Borders Direct! Always a pleasure to do business with you."